This recipe has been warming my drafts folder right from the day after Deepavali. Even though I have been meaning to get it out of my chest and ‘drafts’, other recipes took an unfair lead at being published so to speak. So, here I am presenting a little shy and not so much spoken about ‘Paruppu Urundai/Undai’. I’d like to call it the lesser known healthy cousin of the Masala Ambode, with a taste well underestimated just because it did not take a plunge in the hot oil. I often wonder about its genesis, was it the cost of the oil that pushed them or did they just stumble upon while seeking for something healthier? In any case, we’ll let history be history and savor some good vegetarian protein in a healthier way and that’s what matters. During my childhood years I was never quite fascinated by them and had probably decided at the back of my mind never to learn its recipe. And that is how recipes get lost in the family heirloom, to never make their way out of the black hole of the forgotten world. But then again, few recipes have their way of returning to you in a weird nostalgic way that you want to give them a try many years later and then, start respecting them in a whole new way altogether. Paruppu Undai is one such recipe for me as it was always a must-do on the menu to usher in Deepavali in my grand dad’s place. So, if not any other time of the year, we were sure to eat Paruppu undai the day before Deepavali. Being in the US and thousands of miles away from kith and kin, preparing Paruppu undai was a sure short cut way to walk through those memory lanes and re-live those beautiful Deepavali days. This was my first time of making Paruppu undai and let me tell you that its preparation was not even remotely close to the difficulty I had imagined. So I urge you to go try it out before judging it as one of those ‘can’t do difficult recipes‘. And, don’t let this simple looking dumpling fool you, it is quite filling, only you’ll ‘feel‘ it after 20 mins. Soak the lentils in water for about 2-3 hours. Once soaked, give the lentils a nice wash until the water runs clear and drain. In a mixer, grind the ‘to grind’ ingredients along with very little water to a grainy paste (not too pulpy and runny). Mix the minced curry leaves, cilantro and grated ginger with the ground paste. Shape them into small lemon sized dumplings by pressing them in your fist. Just an approximate oval shape will do, no need for a perfect round shape. 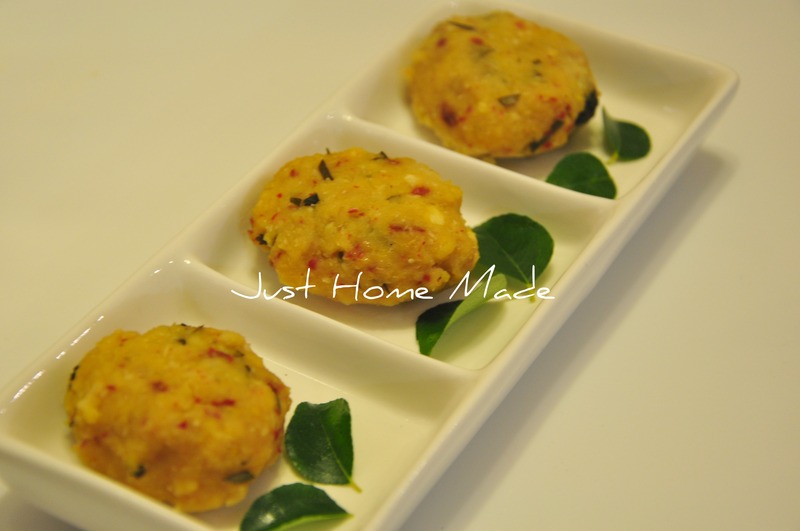 Place the lentil dumplings in the individual concave depressions of the Idli stand. Repeat and place on all the tiers of the Idli rack. Pour in a glass of water in the pressure cooker and place the Idli stand inside. Cover the pressure cooker and steam cook for about 15 mins on high heat, without the cooker whistle. Time it if required. 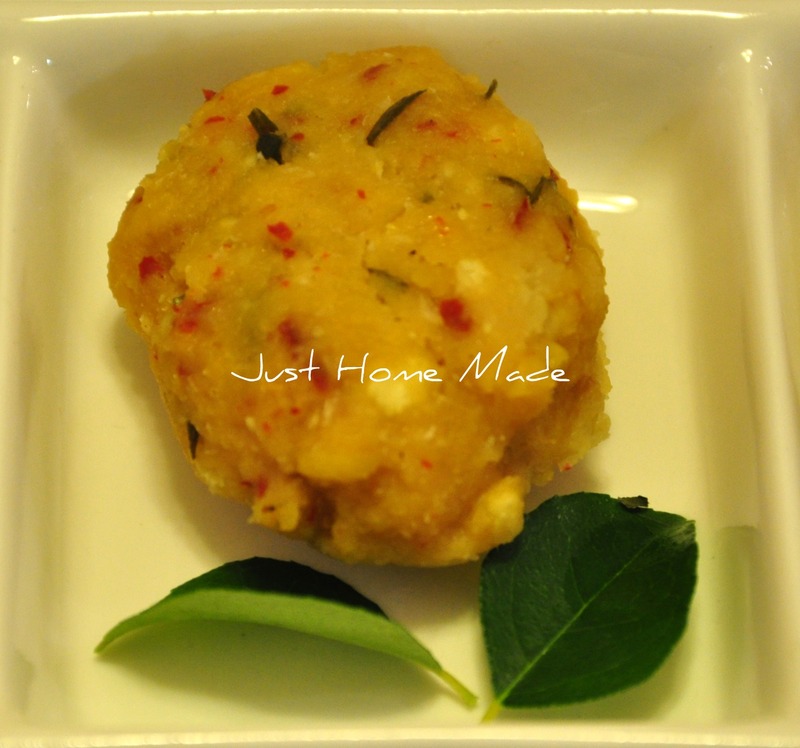 Once cooled, remove the steamed lentil dumplings from the Idli stand and serve warm. 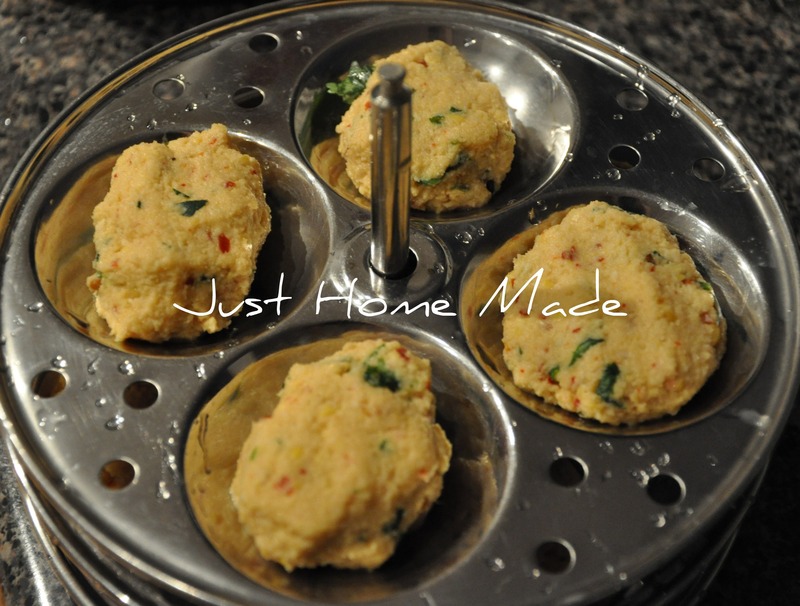 awesome idlis …thanks for this wonderful post ..